Some years ago - before touchscreen phones were all the rage - the trend with mobile phones was that they kept getting smaller and smaller with every generation. That was OK because most phones used to be pretty basic, but recent smartphone are more like computers and because you can do a lot more with them, then the display sizes have been getting bigger and bigger. But not everybody likes big smartphones, and that's why Samsung have come up with the Samsung Galaxy Pocket, which is being marketed as a more pocket-friendly way to carry around an Android device. 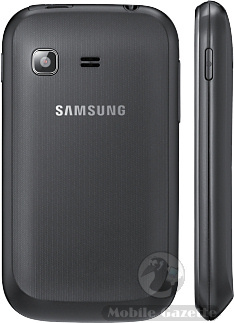 The Galaxy Pocket has a 2.8" 240 x 320 pixel screen, an 832 MHz processor and a 2 megapixel camera on the back. It measures 104 x 58 x 12mm and weighs 97 grams, all running Android 2.3 and coming with all the usual Android features. But wait.. don't those specifications sound familiar? Yes! It turns out that the Galaxy Pocket is almost identical to the Samsung Galaxy Y except it comes with a smaller (and cheaper) screen. In fact, the Galaxy Pocket is almost identical in size and weight to the Galaxy Y, so it is certainly not more pocket friendly. To be blunt it is the Galaxy Y, only worse. Given that you can get a Galaxy Y SIM-free for about €110, the Galaxy Pocket seems a bit pointless. Yes, it might be a bit cheaper but it's no more compact and is less usable than the Galaxy Y, and you can get the Galaxy Y right now rather than waiting for it to come out. Our opinion? 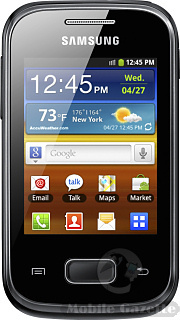 If you want a budget Android phone, give this a miss and get the Galaxy Y instead.